The Metis people of Canada are unique. Their origins emanate from a merger of two of the nation’s founding peoples–resident First Nations and immigrant French. Their development and formation into a distinct culture is intricately linked with the role of their revered leader, Louis Riel. 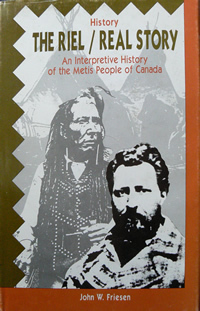 This volume explores the Metis story from the perspective that they, like Canada’s other Native groups, have made a unique contribution to this country’s cultural mosaic.